We had a great time on our Fish Fanatics field trip! Biomonitoring - Checking on the health of the river by collecting aquatic insects at the river bank. Obstacle Course - the kids run through the obstacles facing salmon and trout as they try to get from the river to the ocean and back. 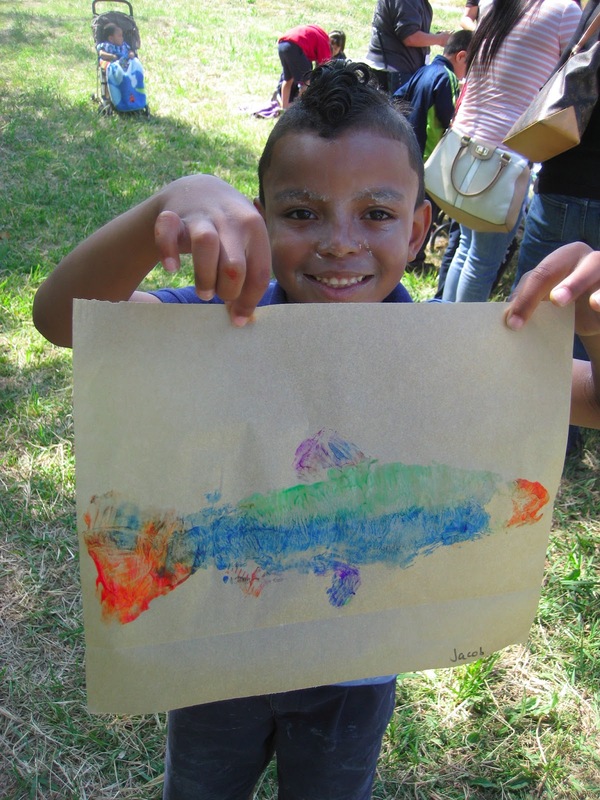 First Impressions - making fish prints on paper to learn the anatomy of the fish. Redd Bed - An experiment with sorting pebbles and making clay eggs to learn what environment is best for a salmonid to lay her eggs. Click on the last picture to go see my entire album of pictures from the field trip! 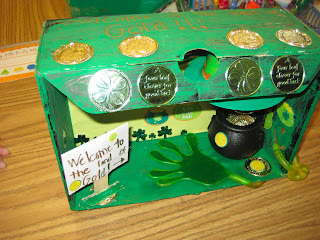 We didn't catch a leprechaun but we had some amazing looking traps! Click on the photo to go see all the pictures in my Picasa Web album. 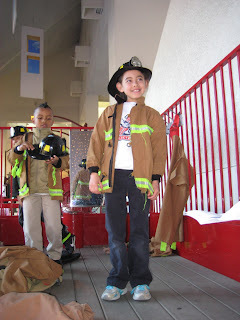 We had a great time on our first field trip to the Children's Discovery Museum. Click on the picture to go see the rest of the albumn. And here are some shots of our Valentine's Day fun. The 100th Day was lots of fun. My favorite activity is writing what we will be like when we are 100 years old. Then we make an adorable art project. You've got to stop in to check these out in person if you get a chance. The kids favorite activity was making a necklace with 100 Fruit Loops and I was told I was THE BEST TEACHER EVER! Sorry, I know it has been too long since I updated. Here is a video I took during the Holiday Chorus. So cute! We had a terrific time at our Halloween party! A big thanks to our wonderful room moms and all the other helpers that made this party possible. Check out the huge smiles during the mummy wrap relay! Click on the photo slideshow below to visit Picasa to order your own prints. Teddy Bear Day was a big hit. We read books about teddy bears, measured our bears with unifix cubes, wrote a class book introducing our bears, graphed gummy bears colors, and even wrote a fictional story about our bears coming to life! It was a fun but educational day!